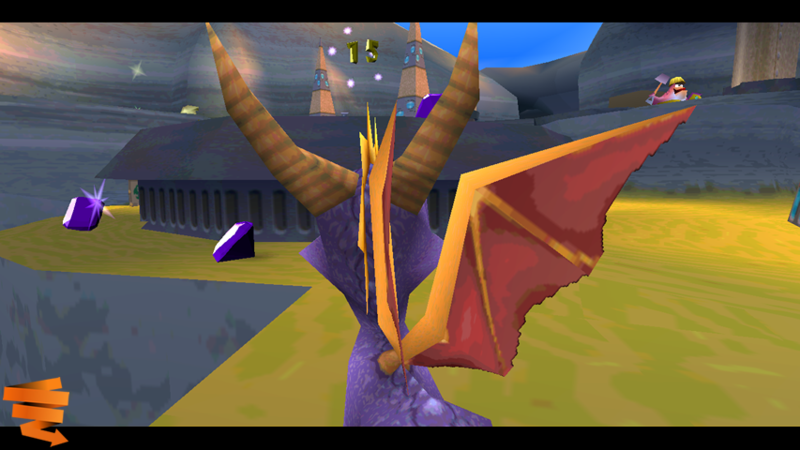 We at SlideSpin are one big gang of Spyro nerds and are very much proud of it (Angus, upon ceasing his usual ego-cosseting, would even agree!). It is due to this that from time to time we engage in epic Skype conversations about the series’ games. We are sibylline warriors wielding Playstation controllers, debating passionately on topics such as “are Handel and Greta actually the bad guys in Scorch?” (Fissure), “are the worlds in Spyro all located on their own planet?” (Ratchet5), “Did I really say that A Hero’s Tail was total garbage?” (me) and “Does any of this even matter?” (NGen64, of course). 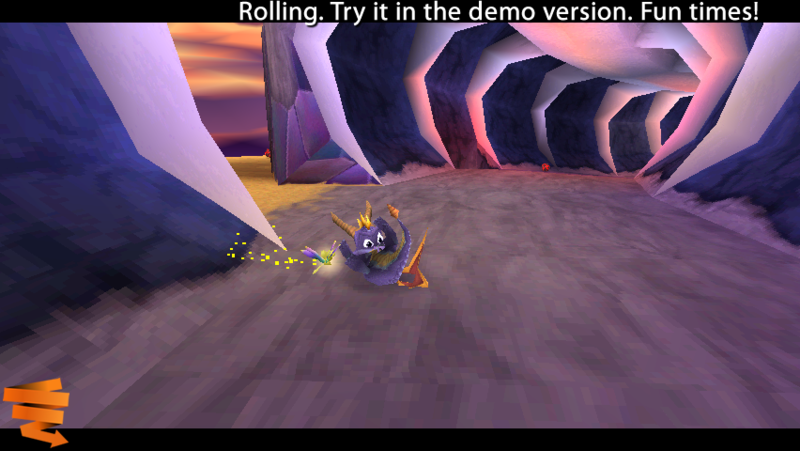 This is the Spyrocratic method. 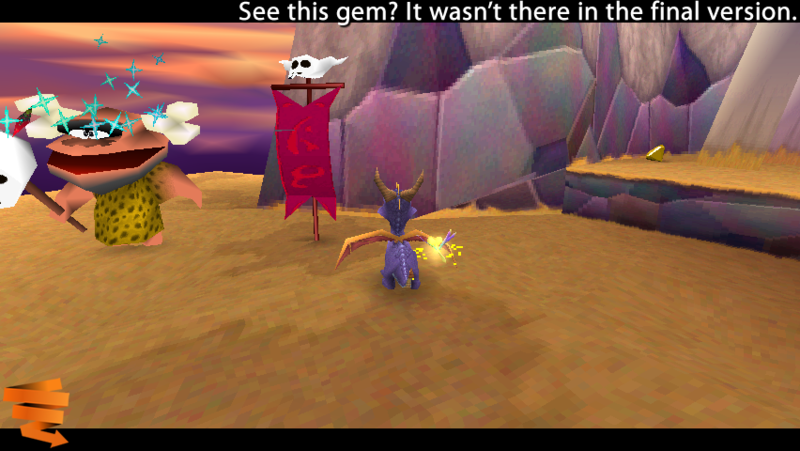 We make queries over Spyro ’till the day is through. Well, for the Australians anyway. For me, usually ’till the morning is through (afternoon if I’m lucky). 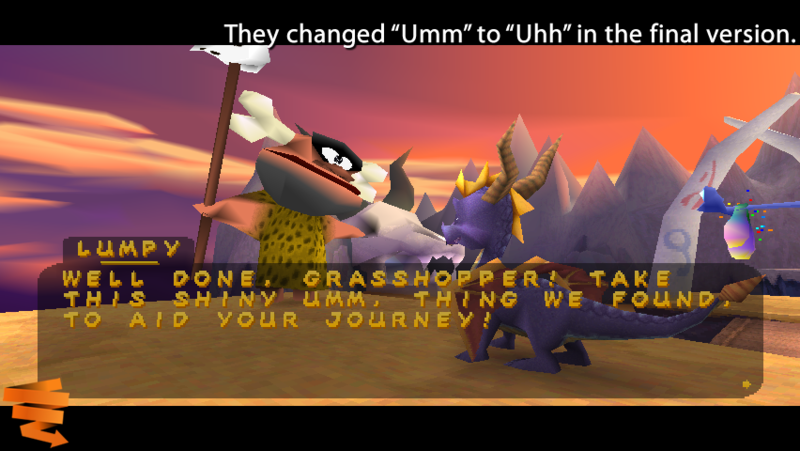 Thus it was in one of these calls where we brought up the idea of Spyro 2: Gateway to Glimmer (known as Spyro 2: Ripto’s Rage in the US) perhaps being “ever so slightly” rushed (of course, the word “rushed” for Spyro fans is instead synonymous with Spyro: Enter The Dragonfly). 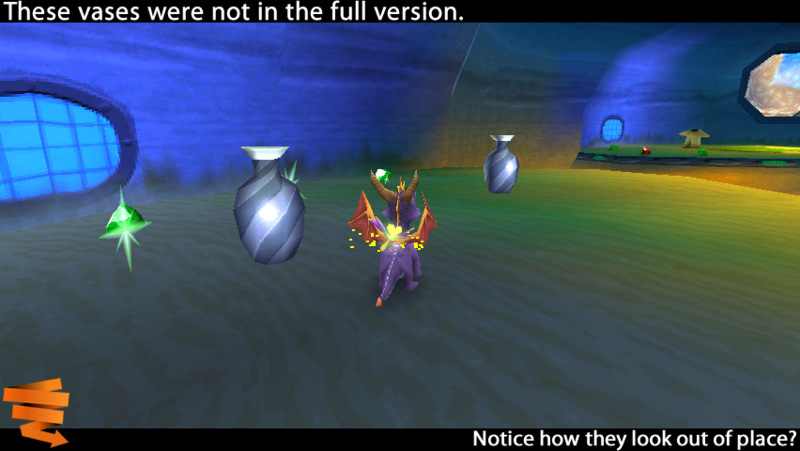 Obviously, unlike Enter The Dragonfly, the game is very much a complete one, but there is evidence to suggest that there could have been even more to it. The main points that we brought up related to the structure of the homeworlds – the question of why they would bother to make one for each season except for spring – and why you suddenly stop collecting talismans upon reaching the Winter Tundra world. It was with these two oddities in mind that I decided to delve deeper and see what I could discover about the game. This entailed playing through the game again (duh) and also scouring the internet for pre-retail images and early demos. I really didn’t expect to discover too much but I can say now that I was pleasantly surprised! 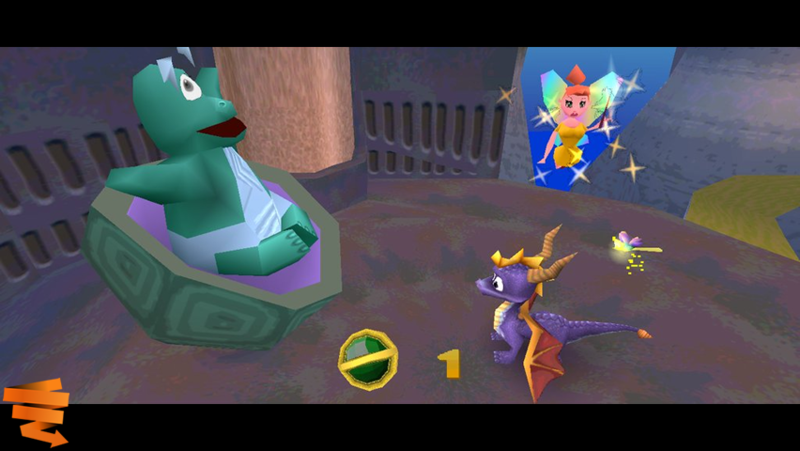 I’ve divided my article into two parts: the first will deal with what we definitely know or can be quite sure of with regards to pre-retail Spyro 2 and the second will deal with conjecture we can create from dialogue and the aforementioned pre-retail images. At the beginning of Crystal Glacier, Widgie the Icebuilder will inform you that Shaman Tuk has been captured by the Ice Wizards and that he and the others need you to rescue him, as he has their tickets to the hockey game in Colossus Valley. Of course, we know the level Colossus from the Summer Forest homeworld, but Colossus Valley? Nope. Furthermore, upon rescuing Juliet for the Landblubber Romeo, he will mention that they can now finally have their honeymoon in Colossus Springs where they can see the idols. Colossus Springs? Never heard of it, but we do know of Idol Springs. 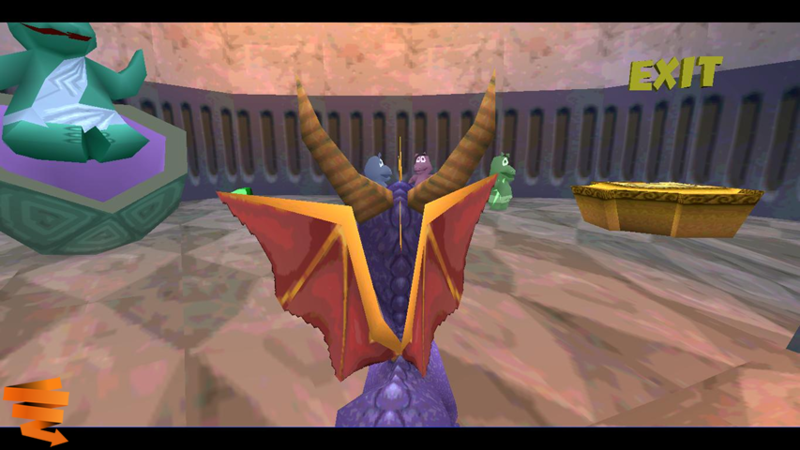 Furthermore, we have come to discover through CrystalFissure’s Spyro 2 LP part of Cloud Temples that Murgen the Wizard refers to the level Cloud Temples as Mystic City…what on earth could that be? It’s from these small pieces of dialogue that we found one of our first theories: that there were originally “provinces” or “regions” in Avalar. Thus, as opposed to Colossus and Idol Springs, there would have instead been Colossus Valley and Colossus Springs. 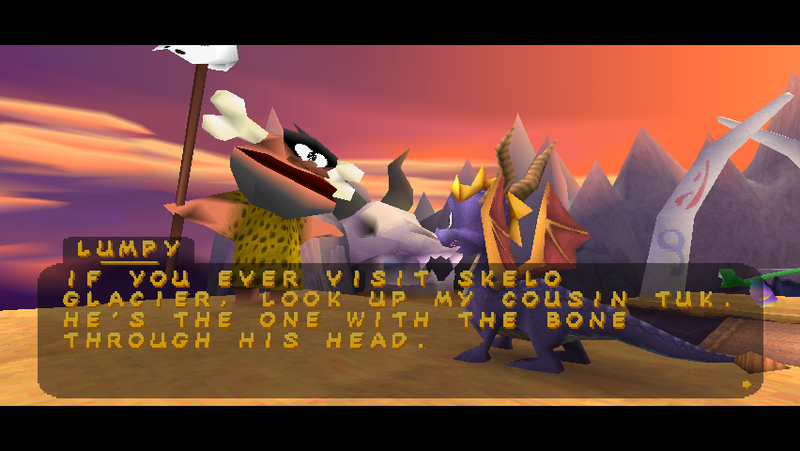 This is supported when you consider the fact that almost all of the levels in the game are grouped in twos; that is, there are normally two levels which are linked in some way, whether it be through the level setting (Scorch and Shady Oasis), being in combat with each other (Breeze Harbour and Zephyr) or having similar looking characters (Skelos Badlands and Crystal Glacier). We refer to these groupings as “sister levels”. Further credence was lent to our theory in the form of a demo which I discovered thanks to a YouTube user named chaffXgrenade. 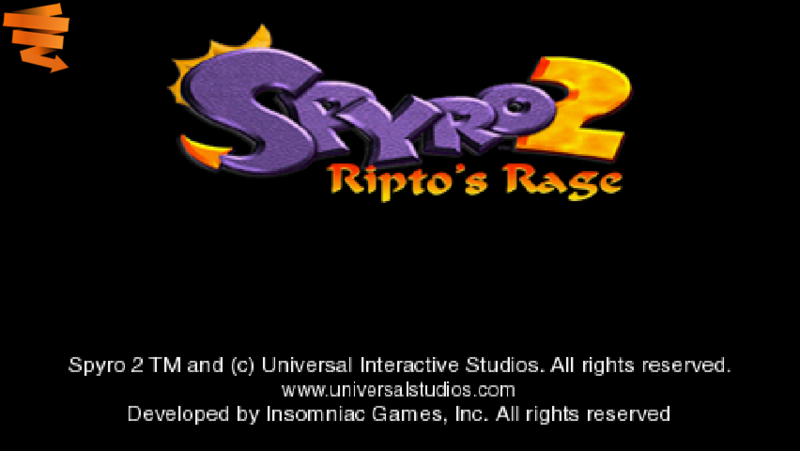 I had been searching “spyro 2 demo” for a while and gave his video a random click thinking “I’m sure he’ll have the same demo that everyone else does” but alas, the demo which he was playing – Playstation Underground Jampack Winter ’99 – contains what I believe to be the earliest incarnation of Spyro 2 currently available to the public. We will go into more depth with the demo later on, but why I bring it up now is because on this demo, the level Sunny Beach is instead called Aquaria Beach, a là Aquaria Towers. So, we have Colossus Valley | Colossus Springs, Aquaria Beach | Aquaria Towers and Mystic Marsh | Mystic City. The general code here seems to have been to chop off the end of some level names and change the adjective for others (which are interestingly enough almost all words of Greek origin). 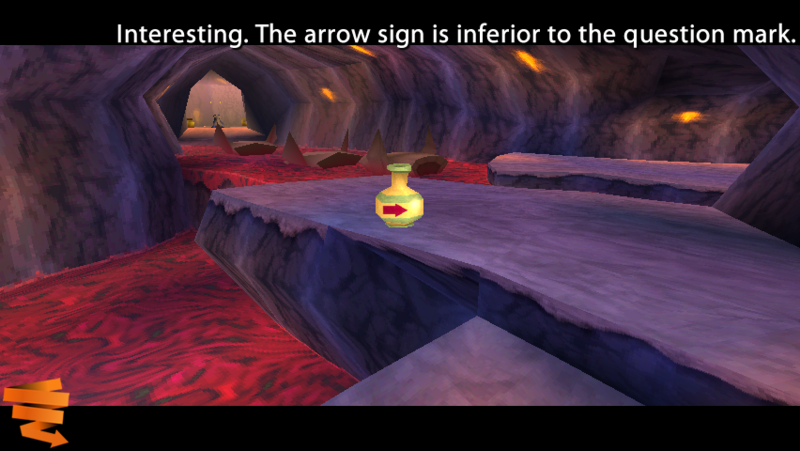 This gives way to some generic level names in my opinion. Sunny Beach couldn’t possibly be a more uninspired name, especially when compared to its original “Aquaria Beach” name. Then again, Cloud Temples sounds much better than “Mystic City”. As cool as the original level names are, I can completely understand why Insomniac changed them. If I were on their team then I certainly would have moved that they be changed. If they had stayed the same then it would be perhaps be safe to say that people today would fail when trying to recall the name of the level, mistaking Fracture Cone for Fracture Hills, Mystic City for Mystic Savannah, so on and so forth. for some reason you are reluctant to watch the videos then here are a good portion of the differences (but not all of them, so watch the videos to get the entire gist). Thanks to CrystalFissure for captioning some of the images; I’ve credited him when and where. 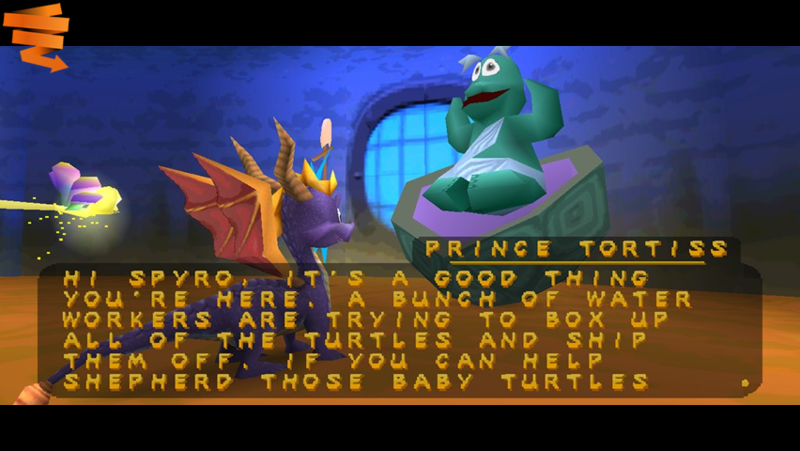 The text boxes in the demo are in all caps and the characters have no voices. The retail would say “1 Orb” instead of just “1”. The crates were originally a brownish colour. 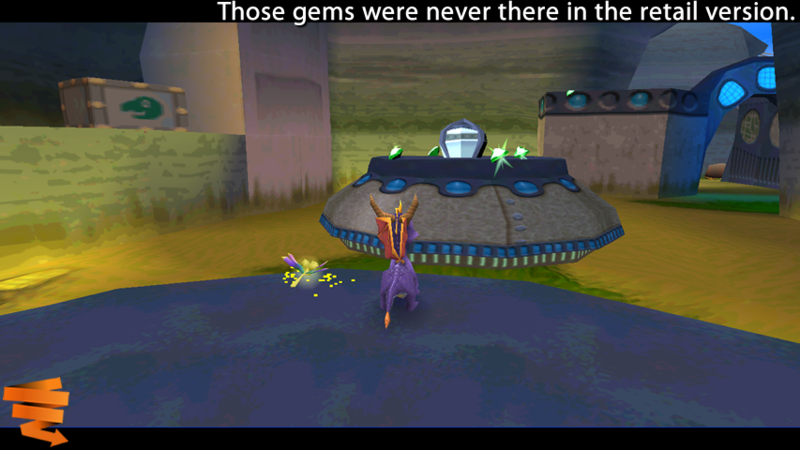 The gems located behind the gate are not there in the final version. The gate has the spirit particles floating around the number of required enemies. The number of enemies is 15 instead of 11. 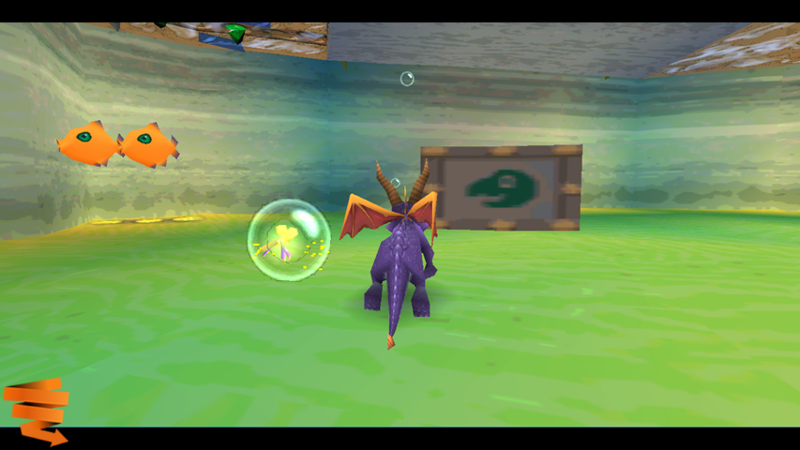 The exit portal from Spyro 1. This area is also a bit smaller than it is in the retail. 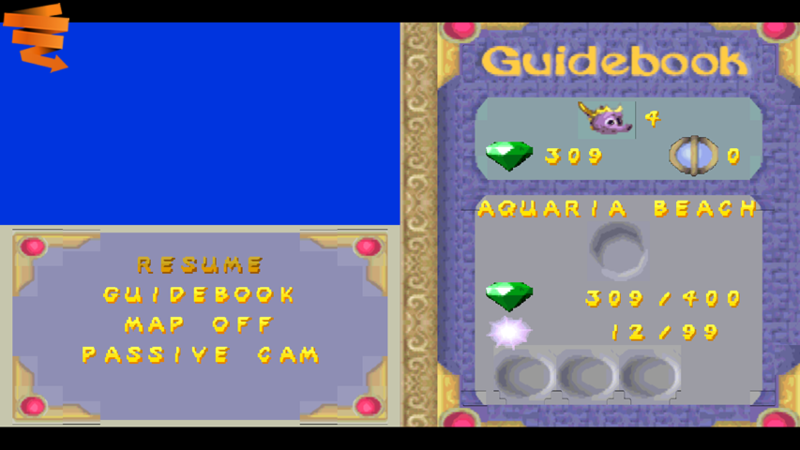 The guidebook was very primitive-looking. Just look at the orb design.